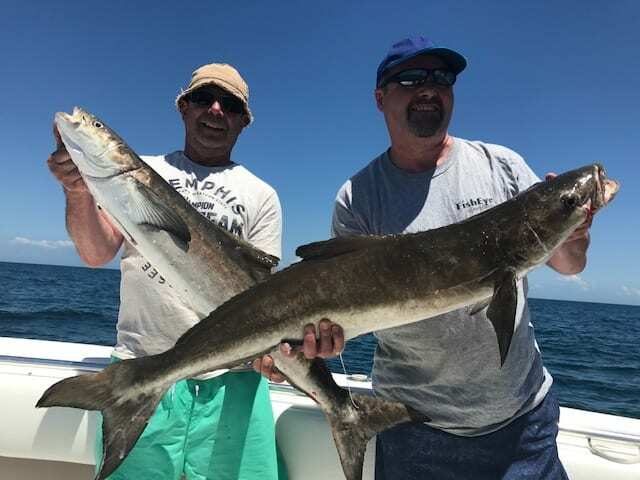 Cobia are an interesting fish, considered excellent food quality and being more than willing to eat any bait presented to them, makes this species a great game-fish. 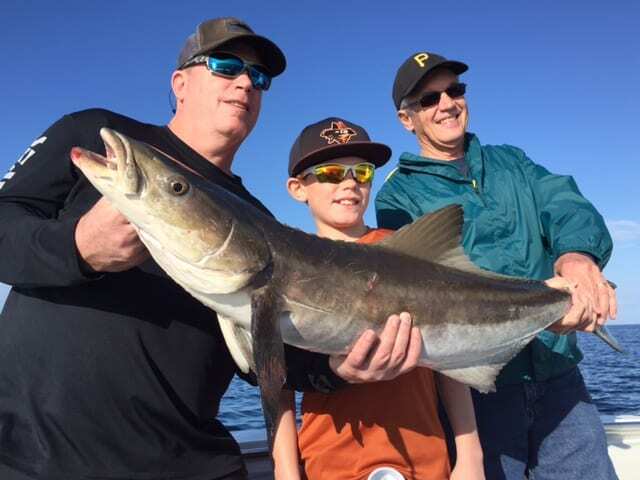 Cobia are a migratory species, always on the move, spring and fall are the best times for catching them off Clearwater Beach. 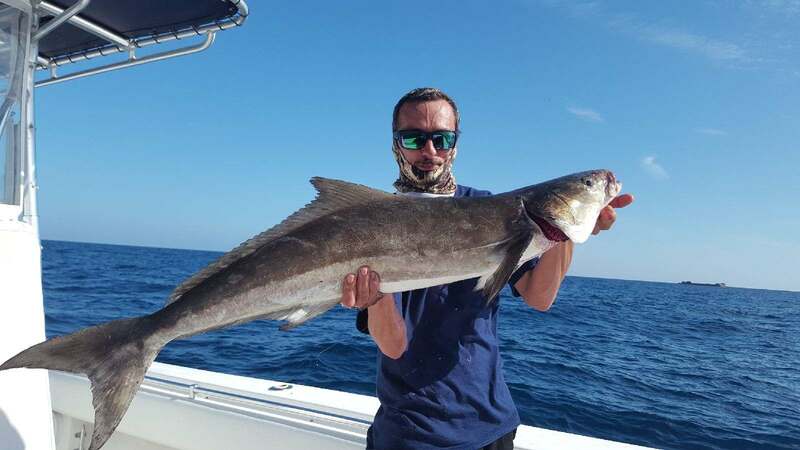 At times when the water temperature is just right and there is plentiful bait, Cobia will school up on area offshore wrecks and artificial reefs. 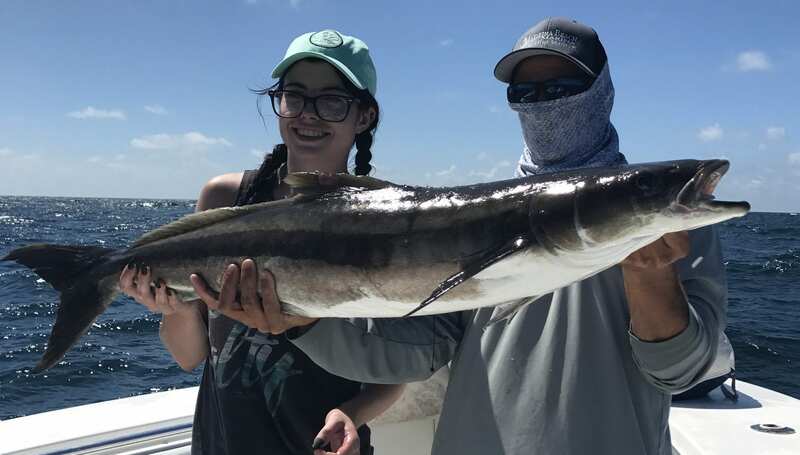 The females are usually the larger of the species, and in not uncommon for us to catch a few over 60lbs every season. 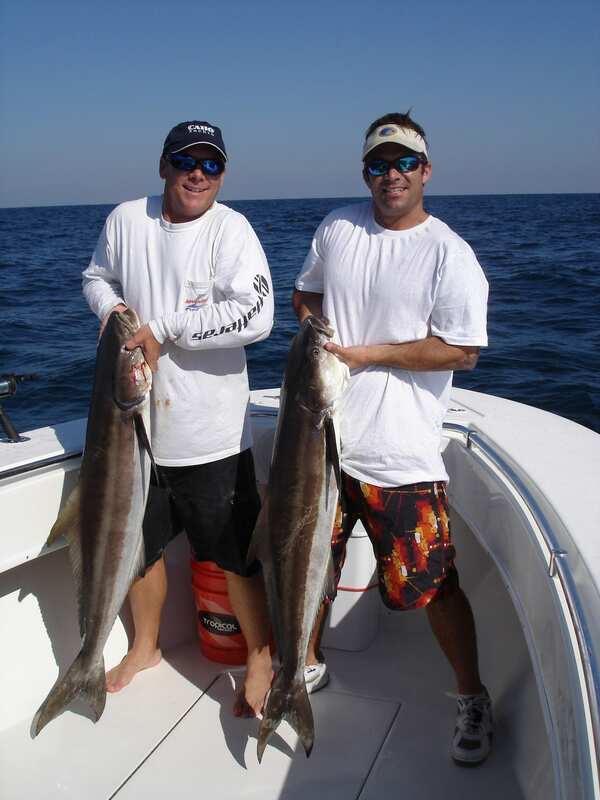 Though most of the fish we catch on charters average 30-45lbs. 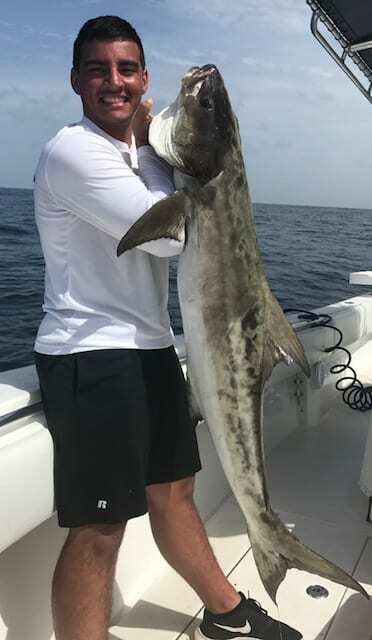 They will eat just about anything you cast to them and put up a pretty good fight with short bursts of speed followed by a more tug of war approach. 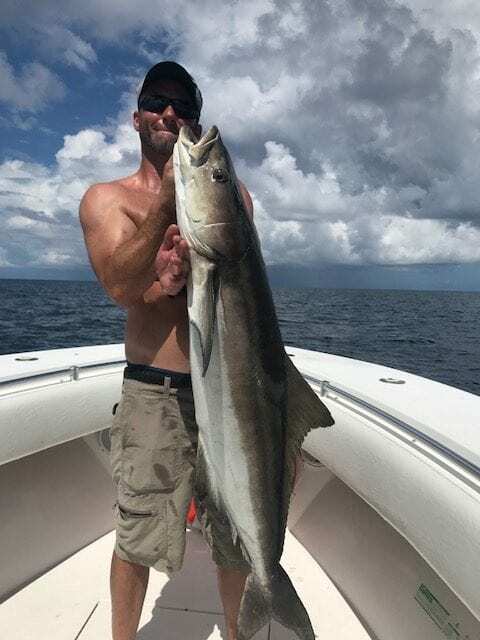 Usually Cobia will come right up to the boat while we are fishing for king mackerel, enticed by the chum and spread of live baits. 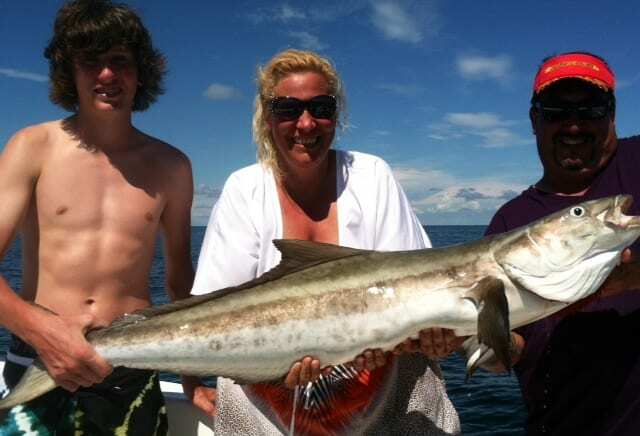 The key is to have a dedicated rod and reel with a bucktail jig handy. 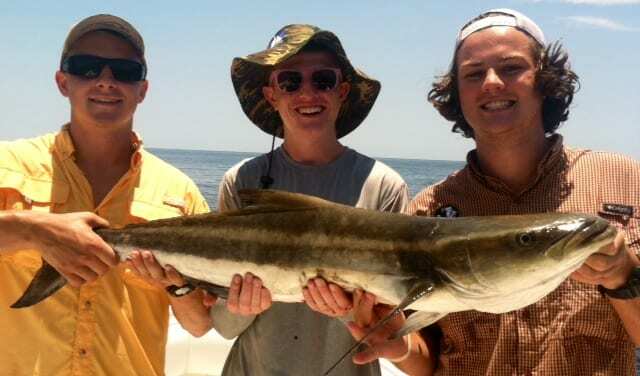 If you spend time fumbling around for a lure often times they will lose interest and you will watch them disappear. 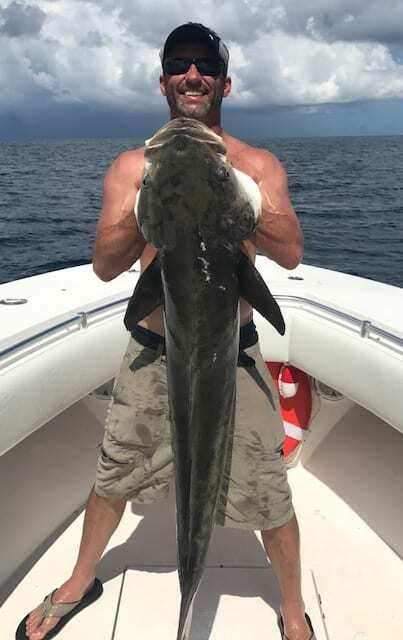 That’s why we always have a rod with a jig tied on during the spring and fall migration!